Jill DeWit:	Hi. Welcome to episode 12. I am officially out of fingers. So, we’re just gonna do that. I’m so excited. I’m gonna try to contain myself and you’ll understand why I’m here, in just a few minutes. But, today, I am going to share with you, all about the deals we are doing and it’s all came together so fast and again, you’ll understand why really fast. This show began as a way for me to share tips on how to begin flipping the easiest type of property land. Jill DeWit:	Because, let’s face it, we all know there’s money to be made in real estate and everyone’s doing it wrong. I realized that whether you’re getting started in real estate or gosh, anything else. Getting started is often the hardest part. 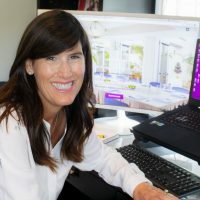 I’m Jill Dewit, co-founder of Land Academy and together with my partner Steven Jack Butala, we have completed close to 16,000 real estate transactions of many property types. When I say those number of transactions, that’s only assets, not our members, it’s not our community. That’s solely us. Jill DeWit:	Every Wednesday at two o’clock, pacific time, I’m here to help you connect the dots to get started flipping land or tackle something that is not getting done. Today, I am live on Facebook and hopefully You Tube as well. I’m so fired to talk to a different camera a little bit. I’m kinda looping in my other You Tube folks here. 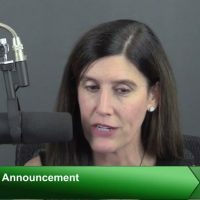 Jill DeWit:	Today’s topic is the amazing “funding” deals I am doing this month. I am so excited and I’m serious. I’m trying to contain myself ’cause this is just like, these numbers are staggering. What has happened? I’m gonna show you a spread sheet in just a few minutes and it’s gonna show you the reason why I am personally changing my job description this month. On January 1st, we decided to open up our funding ability to our whole member community. And in eight days, ’cause this was through yesterday, over $600,000 in equity was created by our members. And I’m gonna show it to you in a minute. In just those eight days, that group is only 17 people. It’s 14 members, 17 submissions. I’m gonna show you. It’s staggering. Jill DeWit:	Let me walk you through what I’m talking about. Over here, I’m showing you, is our landinvestors.com. If you’ve not been here before, check it out. It’s everything land. It’s members and non members. It’s free to everyone. So go check it all out. Just get a log in. Get a password. Get in here, start asking questions. Here I am on the land investors website. Under product release updates, you’ll see a landinvestors.com funding, now live. You click on that and here you are. The deal funding contact forms. This is what I’m talking about. Jill DeWit:	I’d change everything I’m doing right now, today and this month and this year going forward because of what just happened. So we opened up this deal funding form. We just started to put it out there. Just barely started to share it with our people. And I’m gonna show you the results in a minute. Here’s the contact form that you can go … You have a deal right now, no matter who you are or what group you’re in by the way. This is for everyone. Bring it. Jill DeWit:	We are now funding deals for people and we do the whole funding. It tells you a little bit about at the beginning, here. You fill out your name, your email, your phone contact. Whether or not you’re a member. We wanna know when the state and the county APN. That’s all about the property. But you wanna define the acreage, purchase price, what you think it could sell for, what you think is the sale time and the total number of transactions you’ve completed. And you click submit. That’s it. That’s all you do to get the ball rolling. Jill DeWit:	Now, what happens after that? This is the part I’m so excited about, I can’t believe it. I can’t wait to show you. This is the results again, of the eight days so far this month of what has come in and why I’m changing everything I’m doing. I’m gonna go over this in detail, so you can see, get a big picture what I’m talking about here. So, for some people, I know, you might be on your phone. You might be kinda listening, so I’ll try to spell it out for you and you can always watch it, later. Watch the replay. Jill DeWit:	As you can see here on the left, there’s a date of the days these transactions came in. Of course, I blacked out the important information. I blacked out the name of this submitter. I blacked out the email address. I blacked out phone number, county, APN. What I kept is the important part for you to be able to see. As you can see, I actually had an international one that came in. Right at the top there. We don’t do international ones, but let me scroll down. You see all the different states, all over the country, that just came in. Jill DeWit:	Arizona, Colorado, Texas, Florida, Virginia, Washington State, California, Texas, Ohio. Just a great, great mix of properties that people are finding and they need help funding. Next you can see, I have the acreage. I have everywhere from as small as 4.7 acres and as large as 51 acres and everything in between there. Next, you’re gonna see the purchase price. What this is, this is when I say purchase price, this is already the done, final, negotiated purchase price that they have with that seller ready to go. They just need the money to fund the deal. So, that’s what this is. Jill DeWit:	Here, in the purchase price … I’m gonna go through a few of these. I’m gonna pick out some really good ones, line by line and show you what the heck is going on in my world. Let me make this a little bit bigger. This is a real snap shot, too, in case you were wondering this is a legit snapshot of my internal company spread sheet. So, if you see things like, Umar. Some of you know Umar, who works for me. His notes, SB notes. Well, that’s Steven. And JD notes, that’s me. There’s some notes, that we’re already, we’re putting there. Jill DeWit:	Here’s a deal I highlighted, Colorado. Just came in, of course, in the last eight days. 23 acres, the negotiated purchase price is already $6,930. That’s it. This is what this person’s looking for me to fund. The asking sales price, $38,000. And I know this person, by the way. But look over here. They’re a member and they’ve done 25 deals. This tells me that it’s probably worth 50. Maybe 60. I don’t know. It’s something like that and I’m gonna get into more detail here as we do our due diligence, but this is the kind of ideas coming in. So, they already know that … I trust these guys after this many deals and being here this long. This is a very conservative time line. They’re gonna estimate selling for $38,000 in 90 days. I actually think that’s conservative. It’s probably gonna go faster. Think about it. $31,000 with an ROI, of 448 percent. You could drop in everything in changing your job description, too. That’s what’s going on. Let me go through a couple here. Jill DeWit:	Here’s two. 40 acres, 40 acres. 12.5, 12.5. Each about, they estimated sales price, $25,000. Who wouldn’t do this? In two weeks absolutely. Again, two weeks is probably being very conservative. Buy it for 12, sell it for 25, cause it’s worth 40 or 50 all day long. Love it. And again, these are members. I’m gonna go down to some other ones here, that I really, really love. Here’s a 20 acre in Washington State. I love Washington State, by the way. 20 acres in Washington State, haven’t even touched what could possibly be on it if there’s timber or something like that. There may be some fantastic attribute that we don’t know about yet. That we haven’t even gone into, so. Just the initial thing … they negotiated $10,439, which to me, by the way, when it’s an exact number like that. That means that and I’m gonna see … and they are members. Jill DeWit:	This is exactly how we roll. We just don’t throw out … when we send out our offers, we always put out a real details specific number for a reason. It sparks interest and it gets these people kinda wondering why’d you come up with this number and if it sings at them like this one did, they’d sign it and send it back. To me, this looks like they signed it. Sent it back. It’s probably what happened to get their exact number, this person knows that they can quickly buy it for 10, sell it for $26,500. 153 percent ROI. In four weeks, again, I think that’s conservative. I think it’s gonna go faster. Then it goes down a little bit more. Here’s one that I really love. It’s in Ohio. I actually was looking at this one with Steven, yesterday. Jill DeWit:	I think it was yesterday. We had a meeting with the member who’s working on this transaction. It’s probably gonna go really quick. It’s 10.9 acres. It’s commercial. It’s next to some chain … it’s like a commercial property in between some chain properties that I’m not gonna drop any names, here, but … I’m just gonna say, it’s black and white what’s gonna happen with this one. They negotiate a price. $50,000 on this property. Estimated sell price of $300,000 slash however, I want to point this out. And even that is conservative. That’s an ROI of 500 percent. Now, what I know about this property, is this property was listed … I’m not gonna even get into the whole details, here. But it was listed by an agent, on the MLS for over $700,000. It wasn’t, it’s not sold obviously and the people are now saying, let’s just do this. I know what it’s worth and we ran some numbers. I know it is worth in the six, $700,000 range. Jill DeWit:	But, you know what? I’m happy to get in for 500 of that thousand, get off for $300,000 in 90 days. That’s a no brainer. That’s what I wanna show. I’m gonna blow this up on the page. You can see all of it there. The last thing I wanna really show here, is the big overall picture. Which is all of these properties add up to purchase price of $381,000. These are all negotiated. Signed. These people are standing by. Ready to go. Wanna close these deals. He asked me the sales price. And again, these are all conservative numbers. Is $998,000. And that equity already in eight days, $617,000, who would not drop everything. Who would not pay $381,000 to make $617,000? No one. And that’s why I’m dropping everything and changing what I do right now, today. Jill DeWit:	And I am so excited. Again, it took us, it’s funny cause Steve and I just met at the beginning of this year and we did a whole, kinda corporate realignment. Looked at what he’s gonna focus on. What I’m gonna focus on and this wasn’t on there. And in the last couple of days, as these deals were coming in, we took a step back and went we gotta make some changes. The reason I’m doing it, is cause, I’ve gotta be honest. I love it. I live for this stuff. When we created Land Academy … okay, I’m not gonna get emotional here, but … When we created Land Academy this is what we were doing. We were doing the deals. And I loved the deals. While Steven was taking the primary role of writing and filming and I had my parts. If you’ve seen it, you know. My parts, while I was doing the transactions, running the business. And he was doing Land Academy, I love this. Jill DeWit:	So, as Land Academy came and grew I stopped being … I was always involved in transactions, but not day to day in it. And I’ve kind of always missed it. So I really love it, so it just happened last weekend, where we took a set back and Steven sat me down and said, “Hey, we gotta talk.” This is what’s coming in and he’s looking at what to do with it and it was kinda his idea. “Hey, do you wanna do this?” And I was jumping out of my skin. I can remember it. It was Sunday night. I was jumping out of my skin saying, “Put me in, coach.” This is what I love to do. I have so much fun doing this. I’m excited. There’s so much coming up, so I am … nothing’s gonna change major with what I do with Land Academy, but I’m stepping back into my former acquisition leadership role and I am really gonna head up this ideal funding team. Jill DeWit:	I’m excited. Now, this is a permanent thing for our members and for non members, as well. So, I want you to submit them and I wanna say, too, that … If you’re watching right now and you see a deal, you see you on there and you probably know who you are. You’re gonna know that, “Oh, I know that acreage. And I know that state and and I know that price. I know that’s my deal.” My team, today, you’re gonna get some form of email, today. Getting you the next steps, because I’m on it, man. We decided on Sunday night. I slept on it Monday I woke up so darn excited on Monday, I cannot tell you. We met Monday and Tuesday, putting this plan together and it’s Wednesday, now and it’s … we’re doing it. So, watch your email, please. I’m real excited. Jill DeWit:	Everyone wins here, by the way. This is not just us and this now, really, should hit at home that there should be nothing keeping you from getting started in this business. Now, I wanna go ahead and I wanna open it up to Q & A. Gosh, answer any questions that you have. Thank you so much. Let me jump in here. Let’s see, here we go. I got Joshua. Awesome. Josh said, “I got a proof of money last month, super excited.” I am so glad, Joshua. Thank you for sharing that with us. I love it. Let’s look at here. Hey, aloha from Hawaii. I’m guessing Joe. Glad you are watching us. Alright, I have a question here from Jake. Hi, Jake. “Hey, Jill. Now I got my first mailer out…” Yeah. I’m so excited. Doesn’t that feel good, Jake? That’s the best thing. Just get it in the mail. You just have to get that out and then the next thing is start answering the phone and start doing that. It’ll all work out. Jill DeWit:	So, Jake says, “Hey, Jill. Now that I got my first mailer out, I’ve been preparing for the first calls, right? Crap. Not sure I’m ready” That’s great. Don’t worry about it. “Can you walk through the steps we should take to prepare? Tools, resources, pdf which should use the captured info and what questions we should ask? Thanks.” Yes, absolutely. Jake, you should have from the member dash board, in a documents, you have my inbound call seller checklist. I still do that for my team. Have it on their desk so when the calls come in, they just grab a sheet and fill it all out. And it has all the pertinent information in there. Jill DeWit:	It does two things. One, you’re comfortable. You know what to ask them. B, I think it makes you more comfortable ’cause you’re kinda, you sound smart ’cause you’re knowing the question to ask about the property. Make sure you’re getting and see you’re getting everything. All that you need, it’s not just a contact information for the person as the inbound calls come in. What is your name, what is your phone number, what’s your email? By the way, are you the seller? Are you the only person on the deed? If you’re the one taking the calls and it’s different for it’s you and different for Pat Live. Of course, condense it for Pat Live. But I’m gonna talk right now, as if it’s you. Jill DeWit:	You wanna get a much information as you can in the initial call and it’s all spelled out on that check list. If you watching this are not a member and you want my checklist, you may certainly have my checklist. Please just send an email to my team at support@landacademy.com and they will make sure you get a pdf with my checklist. Have it, share it, make it your own. It’s yours. That’s what you need to do to prepare. Jill DeWit:	Dallas, oh, hi Dallas. Dallas, yeah. Dallas, the winner of our drawing last month. I’m so excited to see you here and Dallas, man, if you want to pop in any notes on anything you see here about the program and your experience so far. Bring it. I would love to share that, so thank you. Dallas says, “It’s encouraging to see you guys do deals of all sizes.” Heck, yeah. “Do you offer terms on your bigger parcels?” You know what, Dallas. We have honestly got away from terms deals. Personally, do people in our community do them? Sure. Do we talk about it on our program? As you probably have seen so far, sure. But explain all that. Us, personally? I’m kinda more about volume and building up that bank balance, now. Jill DeWit:	And I’d rather … man, if if takes me three months to find that buyer who can afford to spend $165,000 than I’d rather do that than do x amount of $1,000 a month for five years. I just wanna keep building up the cash and making it big. But, excellent question. Jill DeWit:	Thank you, Shane. Shane says, “My mind is blown.” I hope that’s because of my list. Isn’t that amazing, Shane. I am blown away, too. That’s why you can see why … it was funny, cause I’ll tell you how this all happened. Steven wasn’t sharing with me, I think, his anxiety over the weekend watching … ’cause they were coming in on my email. They were coming in on his email. And he’s seeing these deals and going, “Oh, my gosh,” knowing that. ‘Cause you know why? What’s he working on? He’s working on … we have a new membership levels that we’re putting together. We are working on House Academy and he’s also working on some updates to Land Academy 1.0. We have 2.0. But this is hard. Steven is still going back to 1.0 and tweaking some things. Why? Because there’s a few tweaks. Jill DeWit:	The concepts are all exactly the same, but when we did Land Academy 1.0, we did not have the tools that we have. We did not have countywise.com, that we created. We did not have parcelfact.com. We did not have access to all the data that things that we have now, to make it so much easier, so, honestly, from what we did now, to what we do, today. This is so much easier and there’s so much less work involved, which is great. At first the owners didn’t exist. Someone gonna help you with your data and get it in the mail and do the mail merge for you. That didn’t exist. Jill DeWit:	So, that’s what Steven’s working on. Poor guy was and I put a lot on him this month. Hey, our people are asking for it, that’s how we roll. Everything we do is because you ask. And we wanna get it to you as best we can and as fast as we can. Steven’s thinking about all these things and these deals are popping in. He’s just sitting back on how the heck are we gonna do this? So, that’s when it came up that I might get the opportunity and I guess you can’t tell, I’m excited. It’s gonna be great. Jill DeWit:	Thank you. I think it’s Sirian. Thank you so much. That is completely insane. Wow, it is. I, too, cannot believe it. Yes,Justin, thank you … says, “Looks like you’ll be busy.” Oh, goodness, yes. We’ve hired a couple of people since you’ve been here, last, Justin, too, so I hope my team … we told my team, right now. We talked about it recently. Molly asked, “Where we hiring?” And I’m like, hold on a moment. I think we could make this work. So, I’m gonna try to make it work with my existing team, cause my team is phenomenal. And they also have their own underlying support for some of the non exciting things. It’s like, no, this is what we talk about in 2.0. Steven gets into great detail about what you should be focusing on and the people below you should be focusing on. And maybe a layer below them to be focusing on and that’s exactly what we’re doing. Jill DeWit:	Yeah, I’m taking on some more stuff, but you know what? I get to do the fun parts, so I am so excited. Let’s see what else we have. Richard said, “Looks like there’s potential for you to acquire …” Yeah. Thank you, Richard. You’re doing the same math that Steven did that we could potentially, easily, greater than a million dollars in equity every month. We just barely started to share this. I haven’t really even talked about this, here. We talked about it just a little bit on our podcast. You have not listened to our podcast? We’re famous for not advertising, not promoting. We’re so into focusing and talking about the topic and answering questions. My team’s, “Well, it might be nice if you kinda like mentioned Offers 2 Owners.” Oh, yeah, you’re right. We’ll get that out there, so, we are often behind. Thinking that’s why we now have a marketing team to help push us forward, too and get the word out. So, could we do over a million dollars in equity, monthly? Jill DeWit:	Well, in eight days, we just did over 600,000. So, I’m excited to see and I just make this a regular part of this show, too. It would be fun. Let’s just do it. Every week on this show, I’m gonna show you the latest number for the month. You don’t get to see that 600 number. Next week it probably will be a million. And by the end of January, it might be 2.4. Who knows? I’ll share that because that’s fun for me, too. Let’s see, here. Shane says, “On a scale of one to 10, 10 being very important, how important is the research for back taxes?” Oh, Shane. That’s a 10. You do not wanna be surprised after you bought a property that has so much back taxes that you were not planning for. That’s 10. I always know, always going into an acquisition, exactly where it stands. Jill DeWit:	I start with asking the seller, so I kinda have an idea and see. And most of the time, I really pretty much all the time … if they know, they’re honest and they’ll say … or they’ll say, “I’m sorry, I don’t know.” Or they’ll say, “I think I haven’t paid it in two years.” Or they’ll say, “It’s current.” They’ll know right away. Often, they’re staring at a tax bill. Sometimes when the calls come in and we’re talking, they’ll have a file there with all their information and they can read out to me the information tax bill. So, I start there, but that’s not where I end. Jill DeWit:	I still go and double check it. There I go, straight to the county. I can also go, and Shane you’re a member. You can go, as another resource, too, to double check yourself into Total Approach 24/7, and pull a lien report. And you can also see this picture if anything comes up. Excellent question. That is super important. Let’s see here. Jill DeWit:	Gregory, excellent question. Gregory asks, “Is this deal funding available for infill lots as well?” Heck, yeah. Bring it. Absolutely. Fill out the form the same way and most of the input cells on that form are … you can just, free flowing. So, add comments. Add notes. Anything you want to. Apply ahead of time only helps us out when we’re looking at these. So, right now, they’re looked at daily, so. Great, great question. Jill DeWit:	Charles asks … Hello, Charles. “Hi Jill. New to the group. Hitting the training hard. I’m so glad. Looking to get mailers out by the end of next week.” Awesome, use Umar at Offers 2 Owners and he will help you. “Thank you guys so much. I’m looking to grow with the group.” Great. I’m so glad. Charles, as you’re starting out and it often happens to many of us, at some point you’re gonna run out of acquisition funds. Don’t panic. That’s a good thing and remember, we do not want any good deal to go to waste. That’s what part of this is for. Use this. Use this for anything. You can use it for, “Hey, I’m low on cash. I’m gonna let them fund my deal.” Use it for, gosh … “I think this is a great one. I need another pair of eyes and I wanted to fund it with me. And I’m gonna make sure it’s a great deal, ’cause I’m new.” Use it for that. Jill DeWit:	Use it for … gosh, use it too big out of my comfort zone. Or use another one, use it for, “I’m ready to add a zero.” I’m ready … Here’s a good one. Here’s what I want you to think about, Charles and everyone. You might be mentally ready to add a zero, before your bank balance is ready to add a zero. I don’t care. I want you to do that. And that’s how you will get … if your bank balance just catches up with you. That’s fine. Do it that way. Stop sending out the $1,000 ones and start sending out the $10,000 ones. Put ’em here, we’ll get ’em done. Excellent and I’m glad you’re here, Charles. Jill DeWit:	Let’s see here. Shane, it says, “Your team and your mentor community is so cool, helpful and motivating.” Thank you, Shane. I am really, really, really happy to hear that and I have to say I’m not at all surprised. I know our team and our community and we’re all that way. I’m sure you are, too. It’s so awesome to watch new members come in and them being kind of coach guided mentored by our senior mentors. And then, we all just keep paying it forward. So, I’m so glad that you’re here. So, thank you. Jill DeWit:	Oh good. Thank you, Dallas. Dallas is writing the comments for me that I thank you so much. Dallas said, “Love the program. Jill’s actually really cool. To see how you guys have grown and learned even since creating the first program. The Land Academy crew is so valuable it already boosted our sales since starting.” I am so glad. I have to say, Dallas, thank you. When you won, I did a little recon and I saw that you’ve been in the business. I’m so glad and I was telling this to my team, this is great. I kinda knew that. You already knew what you were doing and I knew that coming into it, this is probably gonna change and tweak and improve your stuff, so. Thank you for sharing that with me and I’m so glad that’s how it’s going, so, thank you. Jill DeWit:	Let’s see. I have a question here that came in. Rock asked through Umar. “How did you guys ever get from doing a single deal to where you are now and how long did it take?” You know what? It did not take that long and I’ll tell you how we get there. It was in the 90’s and this is an awesome question, Rock. I’m glad you’re asking us. This is in our ebook. I’ll say a little more about this at the end, but our ebook really is the story of us and the story of how we got here. A real good overview of our whole business model. So, check out the ebook. It actually explains it in detail. Jill DeWit:	What’s also really cool, too, if you have time or when you have time. Go to Landacademy.com and actually I’m gonna show you guys this ’cause I just love this. Let me jump over here. I’m gonna get you guys on … My team put together. This is one of the things … our team is amazing. They come up with things without us asking. One of the things that they came up with for us, was an awesome Land Academy story. 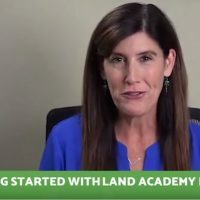 So, here we go to Landacademy.com under “about,” hit the Land Academy story. I’m gonna show you a little bit here. Sorry, about me. Take that off the page, there. There we go. Jill DeWit:	I’m one of the photos. There we go. On the Land Academy story, I was cracking up, obviously. So, it talks about backing up 2018 and you know what’s so great about this? Already 2019, I’ve got a few things for them to put on here. But, it’s really cool. You can go back and just scroll back to where it all started. Here’s my Facebook, first live show. Our first live events. Our 800 podcasts and you can just see, it’s really, really cool. I would go there and you can read more about our story and learn about us and how we got here. It’s excellent question. Jill DeWit:	Shane has a technical one for me. Let’s see here. Shane is asking, “Do you ever deal with land that has an improvement value? And it’s got a structure on it. 20 percent, 40 percent, what does percent look like? 10 percent fence, 20 percent fence and a driveway.” I’m looking for Steven, ’cause this is actually a perfect one … here we go. It’s about four to five … Steven’s already answering in its section, here. I think this is for you and Shane. I don’t know if he’s answering this one or another one. I’m gonna let Steven answer that one, ’cause he’s a pro on that. I’m not really looking for a percent, ’cause a 20 percent improvement value, I can’t always guarantee exactly what it is. Jill DeWit:	I’m really looking for land or not for land. So, that’s it. I’m really looking for a zero percent improvement value. If there’s something on it, it’s a bonus. If I find out it does have a pad on it, it’s a bonus. That’s what we really look for. If you wanna talk more in detail about that, excellent question to bring up tomorrow at 3 o’clock pacific time on our member call. While I’m talking about our member call. 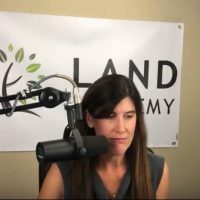 If anyone listening here would like a one time invite on our weekly live, Steven and I, every Thursday at 3 o’clock pacific time member call, all you have to do is send an email to support@landacademy.com and ask for an invite. My team will get you the link and you can listen in. Excellent. Jill DeWit:	Let’s see. I think I see Steven answering some of the questions. I’m gonna jump ahead here. Yep, Steven’s answering a few of ’em in here, so I’m sure that Facebook, you guys can see about back taxes. I’m gonna skip ahead. Jake’s got a comment here I’m gonna address. Jake says, ” Hey, I want to thank Steven for recommending, It Works in the Course. It was a low key quick reference, but I tracked down the book and it’s helping add zeroes.” That is fantastic. I’m really, really, really glad. Jill DeWit:	I slept on it. ‘Cause I talked about it last week to you. I was so jumping up and down Sunday night. I was crying. Seriously, I was crying Sunday night going, “Steven, you have no idea how happy this makes me.” Do I wanna do admin and walk around and worry about payroll? Oh my gosh, no. That’s the last thing I wanna do. I wanna do deals. And now I have a team, a huge team that we could really do some damage. Do some great deals, here. And fund some things, so I am so excited. I slept on it. Monday, I woke up. I jumped up, I was even more excited. So, I knew it was the right thing. Tuesday we met, started putting it in place. Here I am Wednesday sharing my initial outline with everyone. And after the show today, everybody on that list will have an email with something about the next steps. Jill DeWit:	They’ll be different steps. ‘Cause I didn’t put in, what are the yes’s, what are the no’s? How are we gonna handle them? What time line? And that kind of a thing. There’s a whole lot, let me tell you, too. There’s a whole more yes’s. There’s very, very, very few no’s. Don’t worry about that. Good question. Let’s see. I like chicken … Jake and Steven are having a little side conversation about this book. Steven says, “Jake, he still uses that book. Keeps him on track.” I love it. Jill DeWit:	Hi, Rod. Rod says, “Jill. I just can’t keep up with all the latest resources and teaching.” Thank you, Rod. Same here. We’re doing as fast, as best we can and I’m really glad to hear that. “What is 2.0 and what is this about your company funding or buying deals we bring? Is that right?” It’s funding. So, here’s the deal, Rod. You know 1.0. 2.0, is larger acreage, adding a zero or two, bigger dollar amounts and info lots. And all the things you need to be doing to go into that next level. Growing your business. What you should be working on. What you should not be working on. And how to structure it all. And, also included in that, for the properties that we’re doing. The bigger acreage and really specifically the info lots. Jill DeWit:	Really detail spread sheets where you go get the data to upload, to really analyze … all this data is out there for free, but Steven shows you how to use it. And he gives you this spread sheet to plug it into to red, yellow and green zip codes, so you know right away … it just takes all the guess work out of where you should send your next mailer for info lots. That’s what it is. Right now, what we’re doing too, is, we are kinda going back and just kinda refreshing a little bit. That’s gonna come out this year and everybody who already has 1.0, you’re gonna get the 1.0 refresh for free. So that doesn’t change anything. You’re gonna get that. It’s all included. It’s just gonna be a little bit easier because between 1.0 and now, we’ve had so many tools to make things so much easier, that we don’t need to talk about those and there’s way that we wanna incorporate those into how you’re starting your business in 1.0. Jill DeWit:	That’s what Steven is really focused on. Working on it right now. So, now, to answer your question about the company funding … we are funding. I’m not gonna buy your deal. I want you to do your deal. So, I’m glad you asked. This Rod, is a great question. I’m funding. We’re doing this deal together and I’m putting up all the money, but you’re doing the work. By the way, I’m paying for the escrow piece, recording, on the buy and the sell. I’m paying for that, ’cause you’re bringing the deal to me. You did all that work and you’ve smoked it out, basically. Once we go into your agreement, we all know … we shake hands and everybody signs off on we love it, we love the charms and everything. I’m funding it 100 percent, so you have to think about that. Jill DeWit:	And you’re gonna go out there, you’re gonna market, you’re gonna sell it and at the very bitter end of it, that’s where we’re each gonna split up the profit. So, that’s an excellent question. This is great. There’s all these questions coming. Excuse me, I have to scroll down and get caught up here, so alright, here we go. Thank you, Steven. I’m gonna add your note, here, just to hit it home, ’cause Steven, thank you for answering this for Shane and for everyone. We really do look for zero improvement value. You’re correct about slabs and fencing can make up that lower percent, but zero keeps the deals coming in. That’s easy, here we go. Jill DeWit:	Alright, Richard’s got an idea for me. Idea/slash suggestion. Love it. “How about creating …” I think this is brilliant, Richard. I can’t even finish reading it. “How about creating a funding criteria checklist? You use to evaluate deal’s missions.” Alright, team. I know my team is watching. We are absolutely going to do this. Richard, that’s gonna help everyone. Excellent idea. It’s gonna help what to submit and what not to submit. I think that’s great. In the meantime, submit ’em all. Right now, don’t hold back. But that’s perfect and maybe, I might even just put it on that front page, like tips. Tips are what we look for kind of thing. So, you know. Again, if you have any questions, submit it anyway. So, love it. Alright, you guys are sharing a link. There’s a link to a book here they’re all talking about. So, I’m gonna put that up there. Thank you, Jake, everybody’s looking for that. They’re in the comments. Jill DeWit:	Let’s see here. Alright, we’ve been asked by multiple people. This question’s becoming increasingly popular. “When is the next live event? Thank you.” I have to say, I don’t have a firm answer on that yet. Steve and I were gonna meet on that and this other thing kinda got so excited about it, I don’t have a firm answer, so I apologize. I will have one by the 15th. Cause I had mentioned awhile back that my goal was by middle of this month, be able to announce and get it out there. So, I’m gonna still … if you guys bear with me. Give me till the 15th. And I will have an answer. If I don’t have an answer on the 15th, I will create one. So you guys, you can hold me to that, I promise. Jill DeWit:	You know what I love? This is obviously, this tell me too, how big this is. And I’ll tell ya, we’re steering more towards less events, not more events. And by less events, meaning we’ll make it that good. That’s what we’re working on right now. Awesome. Good for you, Shane. Shane just made a comment that we’re trying to red, yellow, green for land research, too. Absolutely. That’s a good thing, even when you’re just doing your due diligence. We used to position them. Back in the day, position ’em on our spread sheet. The good ones at the top and then put them in order of how easy they are to close. But you can easily go through and red, yellow, green them. 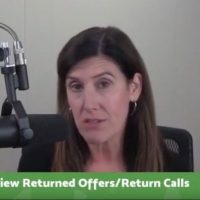 Jill DeWit:	Green means, taxes are current, they accepted your offer price, you still love your offer price, the sellers are alive and able to sign. Yeah, they do wanna close on Tuesday, also. It’s ready to go. For me, that’s a green. Yellow, is gonna be something like … we have a brother we can’t find or we gotta figure out something … something happened over here. We gotta figure out … they love your price, but we gotta figure out something on the deed or the transfer of just some detail like that has to be worked out. But it’s not a deal killer. But, it needs a little bit of work. And then red would be … they don’t like my price. They wanted four times my price. And we can’t find six of the ten people that are on this deed. That would be a red for me. Jill DeWit:	‘Cause there’s so many more deals out there. Just move on. But that’s good. I’m glad that you’re … I’m glad you’re thinking like that. That’s what you need to do and it’s … I think it’s hard at first, because every deal comes in and we naturally wanna close every deal. But you can’t. You gotta really start doing it, ’cause when you have 50, you’re gonna go, “Uh-oh, now what?” And I don’t want you to be bogged down with a bad one, keeping you from three good ones that would have earned you the same amount of money. So, that’s why, too, we’re so adamant about, “Don’t leak out a 100 units at a time.” Get that blast out there. Get those 1,500 or more units out there at a time, so they all come back at the same time. Jill DeWit:	So, gosh, in a couple of days, or a week, you’ve got all your things to look at, altogether in your spread sheet. Now’, you’re putting in priority. Your regular red, green … you’re like, “Perfect.” “Great.” In three days, I already have my the 10 deals I wanna close right now, done. And they’re easy. These other ones that I got here, when I’m done with these, before my next mailer hits, I might work on those. Or, heck, my next mailer might mean I don’t mean to. And circle back to them. That’s perfect. And then, some of those, too. You have 10 greens and you can’t complete ’em all, now you have the deal board … the deal funding. So you could use that. See deal board is different. Deal funding is us and we’re gonna do it for yeah. Alright. Jill DeWit:	Let’s see, here. Thank you. Steven’s answering Richard’s questions about building. In fact, it’s helping our dance members create custom offer campaigns. Awesome. You guys are having a great little side thing. Rod asks, “Don’t you look at my marketing plan or method, et cetera and I want to know how long it takes me to sell?” You know, Rod. I’m gonna look at that, myself. That’s a really good question. If you’re a member or not a member I know what you know. If you’re not a member, I’m gonna look at it differently. Then, I will do my due diligence, yes? If you were not a member and you didn’t have a land selling website, and you could see on my, obviously on my spread sheet. I wanna know, if you’re a member, how many deals you’ve done. Cause that helps me. If you’re not a member and have zero deals, we’re gonna approach this differently because I can’t be there to hold your hand through it. Jill DeWit:	But if you are a member and/or you’ve done 50 deals and I see your land selling website, and I see what you’re going and boy, you have a credit card check out right there. Those things are passing my test. I’m gonna go, “Done, Rod. Do you need more money? What else you got?” Excellent question. Jill DeWit:	Alright, Joe Wong says, In Real Quest,” good detail question. This might be more for Steven or for our member call, but let me see here. “Besides unchecking the checkbox next to each one unwanted record … is there a way to filter out government grown properties?” For example. Steven, I’ll let you weigh in on that, because you can attempt to … you gotta make sure with your … In some of your land use codes, you might, again, Steven’s the pro, here. You might have accidentally included something , so you wanna make sure you’re using the right land use codes. You’re not picking up any public potential properties that could be a government BLM or something like that. Jill DeWit:	That’s it. Let’s see, here. This is a good idea. Alright, Jake. Here’s a shout out to Shane, from Jake. “Shane, please” … If you want to go ahead and make a form and Jake make a form. This is great. So, in our online community Land Investors, this is some of the topics that everyone talks about and shares and grows from. What we’re talking about here, they’re gonna discuss regular and graining land and share best practices within our forum. And if you would like to do that, zip on over to Landinvestors.com and you can find it right there. Alright. Awesome. Jill DeWit:	Let’s see. I’m gonna go away, one down here. I’m gonna read here. Steve’s comment to Joe. “Many of the limitations … we are license providers at 24/7, which does ads and advance …” So, they’re adding out. He’s talking about to scrubbing out those. “And we do have data tree with House Academy.” So, by the way. In case you did not know. We are the only ones who are license providers of all three. We have [Corologics 00:51:34], Real Quest Pro. We have Black Knight financial services, Title Pro 24/7, which is Agent Pro 24/7, but on steroids. Because we want it all. That’s how we roll. Jill DeWit:	And we are also Data Tree, which is First American Titles, data company license providers of that and that’s gonna come with House Academy, which is scheduled to be released, on March 1st. I will, absolutely have some sort of bundle program for those crazy folks out there, like us, who want it all. Right now as members you get everything but the Data Tree, but there’s other things worth throwing in there that are coming, that you don’t know about. But I will have some kind of awesome, huge bundle where you can just have it all. Great questions. Jill DeWit:	“Did you say 50 deals? How about 30 plus deals?” Absolutely. Yeah, that was just a general … Steve just throwing out a number. Rod, if you get it and you’ve done 30 deals in the last six months or a year, a short amount of time that you’re really just going for it. You just need a track record. It’s not gonna hold you to 30 or 50. There’s not flat number, but good question. Feel free to submit it. Let’s see, here. Jill DeWit:	Shane’s following up this question, “You got it red, yellow, green.” Okay, so I just gave you a different idea. Thank you. But, here’s referring to sorting which county might get mailed first in a given state?” Exactly, so that’s perfect. Like in one point, Shane, you’re learning that all the criteria that Steven looks at and when he goes to Countywise.com and what he’s looking at with the density amounts and population and things like that. Things that might be a trigger that this would be a good place to send mailers. Excellent. So, you could totally turn that into that and I have a feeling in Steven’s 1.0, I don’t know if we’re gonna call it 1.2 or 1.5. I don’t know what we’re gonna call the refresh coming up here in weeks, not months. Jill DeWit:	He’s gonna incorporate some of that new methodology in there, too. Sit tight. Gregory Bennett’s by Advance Group … “Do you mean members of Land Academy?” The answer’s, yes. We have right now, a very small, invite only advance group of people that have done a tremendous amount of deals and we’re working on deals together behind the scenes. That’s actually separate from this, so that’s that group. Am I gonna create … am I opening that up to more people? Yep, that’s coming. And I’m not gonna have different levels and ways for you to kind of nominate yourself I should say, to get into that advanced group? The answer’s yes. And will there be more tools, resources and other things available to you? The answer is, yes. That’s gonna be also coming out in weeks, not months. Excellent question. Jill DeWit:	You guys, I’m hanging in there. You guys, this is my longest show, yet. You guys have so many good questions. I suspected that everyone would get as excited about this as me. So, I’m gonna keep going right now. I still have some questions. Keep ’em coming. Gregory asks, excuse me, Umar says, this is from Gavin Stafford submitted this. “How many mailers do you send out to purchase a property?” Great question. Traditionally, for land, 1,500 unit, well-priced mailer is gonna yield you from let’s say, two to five properties. And I’ve seen more. But I’m going to be conservative. That’s really what you wanna think about. Then, get it into a system. You can handle that every week, go for it. Or if you mail it every month, go for it. Let’s see. Jill DeWit:	Awesome. I see Gregory and Steven talking about the advanced member group, so you guys got that. Well, here’s a great question. Selena asked … this is coming, ’cause I have people submitting questions through different areas that are kinda watching us right now. So, they’re feeding them to me. Selena asked, “Can I use Offers 2 Owners if I’m not a member?” Heck, yeah. By the way, it’s for everyone. So what is Offers 2 Owners? Offers 2 Owners is our own printing company. We not only do the mail merge and get it in the mail for you, at an unbelievable rate … if you need data. If you’re not in our world and you need data as well, we can help with that, too. Go check out offers2owners.com. It’s offers and the number 2 and then owners. If you have any questions, just pick up the phone and call Umar. Or I think there’s a place you can just, you wanna schedule a call with him, you can do that as well. Great. Jill DeWit:	Alright. I think we did it. I hope I got through everyone’s questions. If I missed any questions, I apologize. Please send it … you can put it in my online community. You can send a note to support Landacademy.com. You can leave it here in the comments from my team to get back to you. Wherever. We’re here. Thank you so much for joining me, today. Again, please feel free to leave any comments and topic suggestions. Leave ’em below. Also, I really want everyone to know about our ebook. If you have not downloaded our ebook, you need to and you need to read it. If you’re just finding us, you’re wondering what the heck this is all about. Get our ebook. It’s not your normal ebook. It’s not a skipping on the top. It’s really telling you who we are. A full outline of our business model. A way to even test this model. Now, with our online community and things like this, now you can even read the ebook. See if it makes sense and start talking to people and ask these questions. Jill DeWit:	And ask them here. That’s why we’re here. I am Jill Dewit from Land Academy. I’m here to help you get started. That’s the hardest part. If you enjoyed this on Facebook Live, please check out all of our latest episodes here or on Youtube. If you like it, give it a thumbs up and subscribe to our channel. My staff and I read each and every comment, so please let us know what you would like to see in future shows.